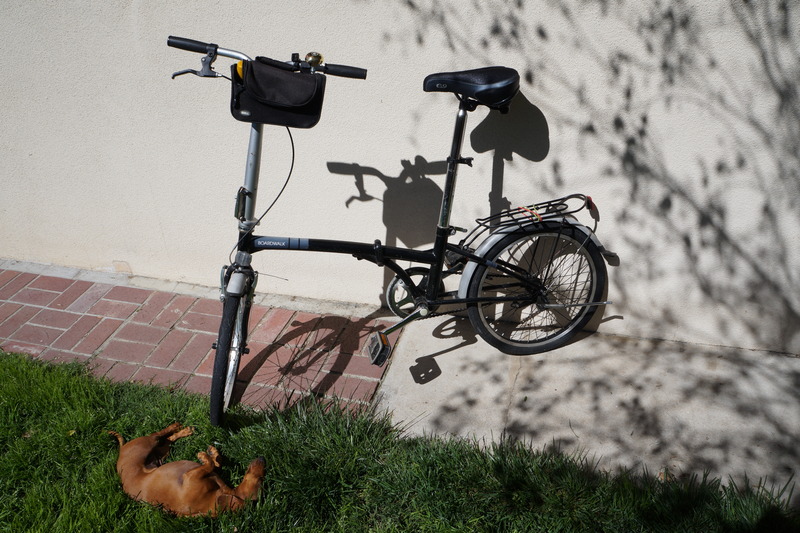 Three months riding the Dahon and I still like it. The rear coaster brake was worn so I replaced the rear wheel with a new one from Bob’s Cycle Center. It cost $52 installed and Bob’s did a fine job. The axle is longer than the stock one but I didn’t cut it, just replaced the rubber bumpers. The two-tone silver and black wheel matches the bike’s paint and look better than stock. I had Robert at The Pedal Pros replace both worn tires with 20″ Kenda Kwest tires, the same as stock. They cost $22 each and look nice with the white lettering. Robert did not charge for mounting. Our condolences to Robert on the loss of his father. The ‘Cloud Nine’ male-pattern gel seat proved comfortable but must be kept out of the rain because of the porous Lycra seat cover material. The SL1 is comfortable to ride except for the steering ’tiller’ being a trifle too short to allow for my desired Dutch style ‘Sit-Up-And-Beg’ seating position. But my medical condition has improved enough so I can ride it again for short distances. I paid $90USD for the bike at a flea market and replaced the seat-$28, the tires-$44, and the rear wheel-$52. So I have spent $214USD (¥22095JPY) so far. 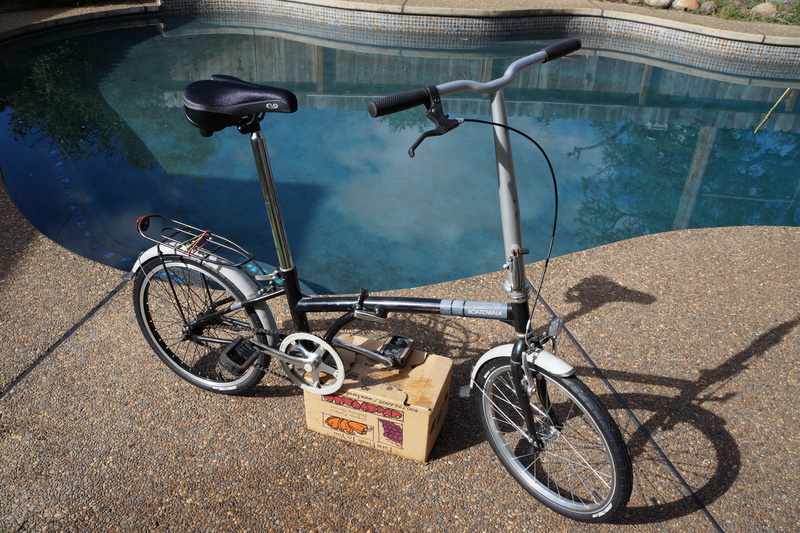 It still needs a replacement kick stand and hand grips to be complete. I am considering upgrades such as a lighter, lower maintenance sealed bottom bracket and alloy cranks and chainring spider.